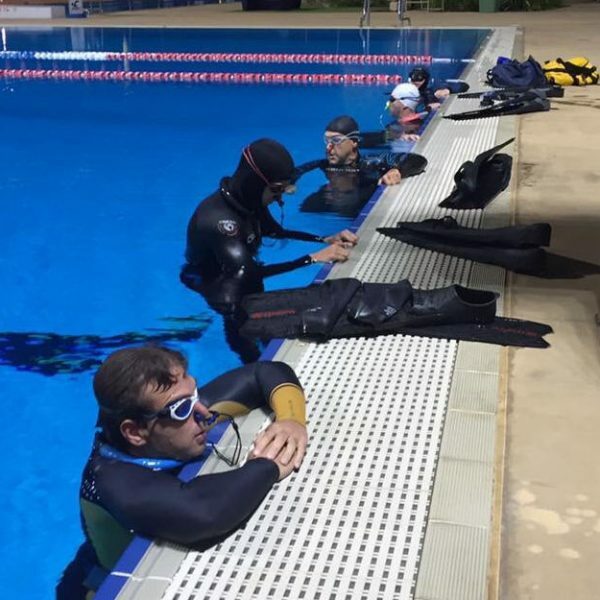 The High Performance Freediving Coaching program is 2 days per week on a Tuesday and Thursday evening from 6.30 to 7.30pm for a 10 week term. It is about helping ALL freedivers, from beginners to advanced, to reach their full breath hold and underwater swimming potential through specific fitness training, technique correction and regular safe practice in a small class format. 2. Training is on Tuesday and Thursday evenings from 6.30 to 7.30pm at the Gold Coast Aquatic Centre. 3. There is an official AIDA competition (i.e., recognized in the Australian and International rankings) in week 9 of each term. The first competition in Term 1 is a Static competition on Sunday 31/3/19 (& warmer that time of year to help in training). 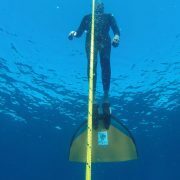 See our Pool Freediving Competition for more details. 4. Athletes who participate in the High Performance Coaching program have 45% discounts on the associated term pool freediving competition. 5. Training is structured and goal oriented towards the competition though of course you do not need to enter the competition. We agree with the old adage “A person without goals is like a ship in the ocean without a rudder”. Sometimes breath holding is difficult and we need goals to energize ourselves and to remain focused and motivated. 6. All training involves a mixture of technique correction, and specific progressive fitness training over the term to maximize your freediving development. You will be challenged. Training is based on sound, safe, scientific principles of training. 7. 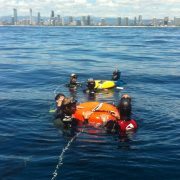 Pre-requisite is AIDA 2 Pool Freediver Course for all bifin training. Pre-requisite for all monofin training is AIDA Monofin course. These courses provide the foundation for the High Performance Coaching to build on and develop you as a freediver. 8. It is expected that you have your own freediving gear but it is possible to hire gear from us. A minimum is freediving mask/swimming goggles, pool freediving wetsuit (see our articles on the Best Male Pool Freediving Wetsuit or Best Female Freediving Wetsuit) snorkel, weight belt with plastic coated weights, and bifins/monofin. 9. Cost is $195 per term (including any required lane hire). This fee does not include pool entry. Becuase of the fitness and technique required to participate in these classes over the course of the term there is no casual entry fee. We strongly believe to improve performance in breath holding or apnea and the AIDA pool disciplines (see AIDA disciplines) you need regular pool training a minimum of two times per week. 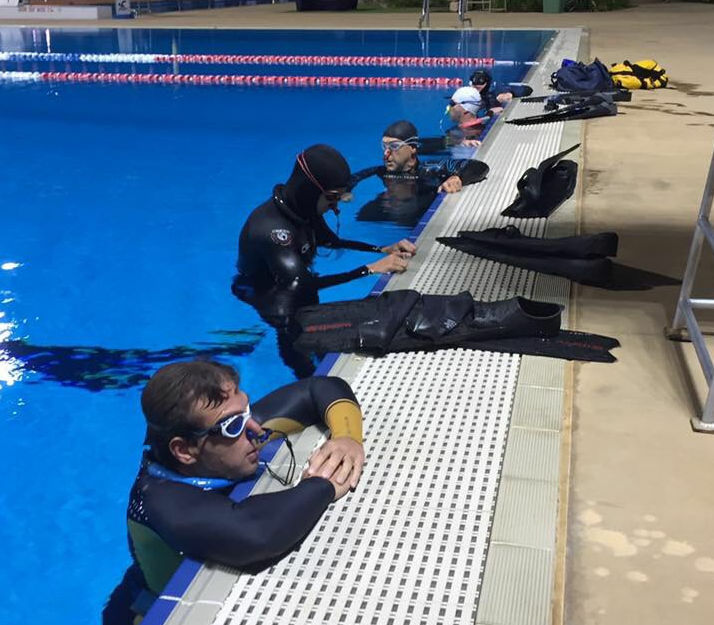 This is the main purpose of the High Performance Freediving Coaching program. The program uses structured, goal oriented training to improve underwater swimming technique, relaxation, CO2 tolerance, and fitness (primarily anaerobic endurance). If you want to improve performance in the depth disciplines you will ideally need to combine pool training with the advanced AIDA 3 & 4 courses. While people with natural talent can progress to AIDA 3 and 4 without training, our experience indicates that people who combine pool training with depth training progress faster and more confidently. Once you have achieved 35 to 40 metre depths you only need top ups with Ocean Fun Days to maintain “readiness” (& protection against barotrauma injury) to dive deeper for the ultimate challenge. 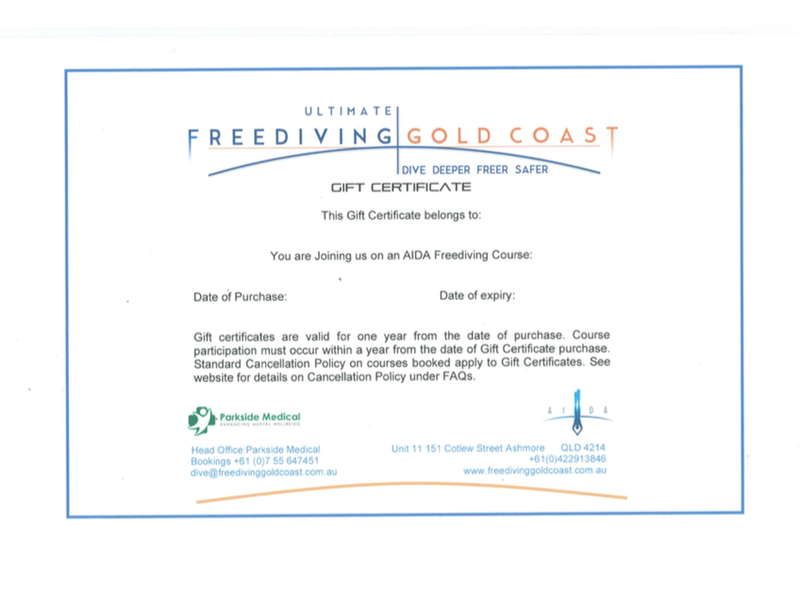 Our website at Freediving Competitions provides a list of competitions in and around Australia for those athletes looking for the motivation to test their personal limits, to take their freediving to the next level, and reach their full freediving potential. We welcome athletes from other sports including swimming, surfing, underwater hockey, and even synchronised swimming where High Performance Freediving Coaching focusing on increased breath hold ability and safe underwater training will help in cross training, safety and performance enhancement in their sport.